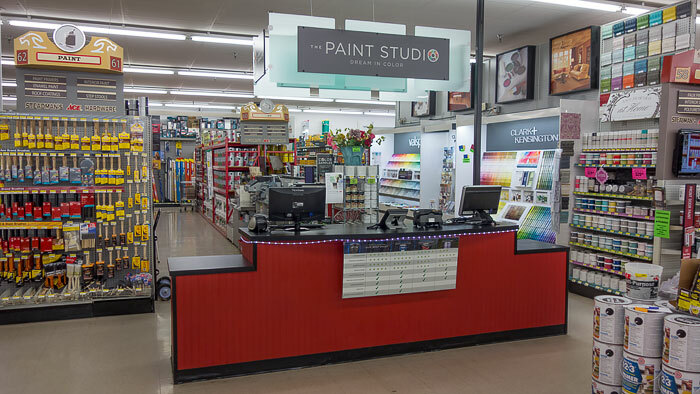 Make Steadman’s Ace Hardware your first stop when you have a painting project to complete. We have painting equipment and supplies including brushes, rollers, paint sprayers, masking tape, edgers, sand paper, ladders, caulks and mixers. And of course a huge selection of quality name brand paint. With the help of our knowledgeable staff you’ll be sure to have the right painting equipment and supplies to complete anything from the smallest painting project to painting your entire house! You can even rent paint sprayers at the Ace Rental Place® located inside Steadman’s Ace Hardware. Funky Flamingo, Camo, Spotted Leopard, Hot Rod, Atomic Yellow, ZigZag Zebra, Aqua, Orange, Purple and many more!